Over the past few decades, Kiss have become a caricature of themselves, a carnival act more concerned with marketing than music. And they’ve been hugely successful at it, like it or not. That makes it easy to forget just how influential and successful they were musically back in the 1970s – unless you’re old like me. Right up until (and including a few of) their solo albums, Kiss could do no wrong. Any of their early albums are worth picking up. With one glaring exception, though, the ’80s and ’90s were brutal for the band, and likely the impetus for their current career arc. All that being said, here are our choices for the best Kiss studio albums; Alive! would be at the top otherwise. Once the makeup came off it was all downhill for Kiss, but their first release sans-makeup, Lick It Up, actually contained some decent material. Once you got past the shock of seeing their faces, and the iffy Gene Simmons production (he improved in this regard as the years went on), you found some quality made-for-arenas hard rock. 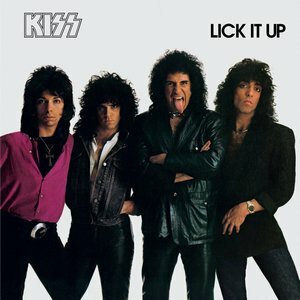 Lick it Up is rife with anthems, including the title track, “All Hell’s Breakin’ Loose,” and “And on the 8th Day.” The downside of Lick it Up is the filler material; in previous outings only a couple songs per album would be considered filler tracks, and they wouldn’t be too bad. On this one, though, three or four songs are filler, and they aren’t good at all, a trend that was accelerated in coming albums. Lick it Up was the first “unmasked” album, and it was also the last one that had more than two good songs on it. Perhaps the oddest-sounding album Kiss ever recorded, Hotter Than Hell is also one of the most interesting. The odd production (somewhat similar to Faith No More’s The Real Thing) is exceeded by the bizarre front and back cover of the record, featuring the band partaking of various forms of debauchery, with Japanese writing all over (a nod to their fan base in Japan). Despite this weirdness, the album has some great songs. “Got to Choose” opens the album as a mid-paced throbber and sets the tone for the album. While songs from Hotter Than Hell are rarely played live any more, there are a number of gems on here, including the title track, “Parasite,” “Let Me Go, Rock ‘n’ Roll” (a precursor to “Rock and Roll all Nite”), and the heavy “Watchin’ You,” which features one of Simmons’ best-written riffs. While the filler tracks on Destroyer can be cringe-worthy, the staple tracks are top notch. The opening trio of “Detroit Rock City,” “King of the Night Time World” and “God of Thunder” are as good as any opening three, and “Shout It Out Loud” and “Beth” were both huge. Destroyer is lighter fare compared to the two albums that followed, but has some excellent material. After a sellout pop album (Dynasty) and two flops (Unmasked and Music From “The Elder”) virtually everyone had written off the band. Peter Criss departed, and Ace Frehley was having some issues. So it was a shock to fans when Creatures of the Night came out, featuring the band’s hardest-rocking material despite possessing a couple of songs co-written by Bryan Adams. 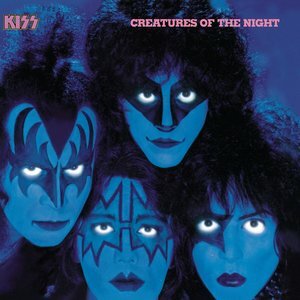 With Eric Carr on drums and Vinnie Vincent providing all the lead work anonymously, there’s an energy to Creatures of the Night that hadn’t been present since Love Gun. 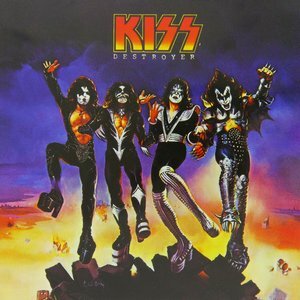 Some of their heaviest work is here in the form of the title track, “Danger” and “War Machine,” and the album also features one of their biggest anthems in “I Love it Loud.” To cap it off, we have Paul Stanley’s best rock ballad, “I Still Love You.” Top to bottom this is one of Kiss’ best albums, and criminally overlooked. This was almost number one, but to be honest it would have been for the wrong reason. 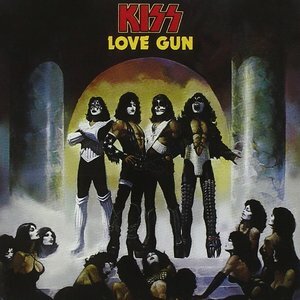 In the summer of 1977, 40 years ago, Love Gun came out and 8 year old me saw the cover, picked my jaw up off the floor, and bought my first ever record. I still own it, but it’s virtually unplayable now. But I digress. Love Gun capped off an incredibly prolific era for the band, with six studio albums in four years. All that experience shows up in the polish of the album, the songwriting, and the performances. While there aren’t any legendary songs on here like their older albums contained, overall Love Gun is very strong, with only a couple of dubious filler tracks. Each side of the vinyl opens with a great track, “I Stole Your Love” and “Love Gun.” Throw in tracks such as “Christine Sixteen” and “Almost Human,” along with Ace Frehley’s first foray into lead vocals on “Shock Me,” and you’ve got one of Kiss’ highest-quality albums. Kiss appeared on the scene in 1974, a weird amalgamation of Alice Cooper and the New York Dolls. While they didn’t really achieve massive commercial success until the release of Alive!, their self-titled debut definitely made a mark, and not just because of the outlandish cover, featuring all four members in makeup that was far more elaborate than it became in the years to come. There’s a reason most of the songs on Kiss’ debut album are classics: they’re great songs, with no less than seven of them seeing lengthy run times in concerts. 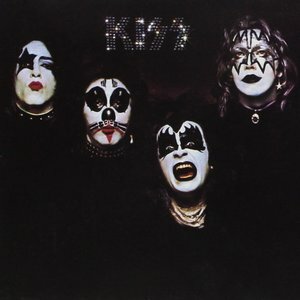 Sure the production is dated, and the band completely lacks any semblance of feel or technical prowess, but Kiss is the ultimate example of stellar songwriting overcoming mediocre talent. Kiss was an excellent debut that ultimately overcame the gimmickry of the band. Love all the albums on this list but prefer Revenge over Lick It Up. In general, I have a difficult time with Kiss’ 80s output. All the 80s albums have their highlights but, for me, Revenge is better top to bottom. Great list nonetheless.